Shop For a Cause — Inspirica, Inc. 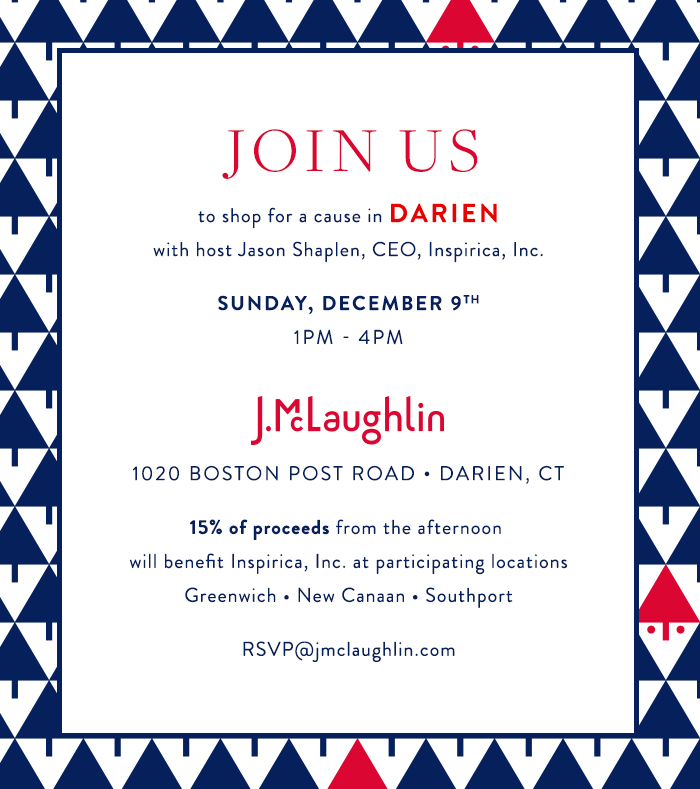 Pick up holiday gifts for everyone on your list at the Darien location -- or any of the other participating J. McLaughlin locations in Greenwich, New Canaan, or Southport and 15% of all proceeds will benefit Inspirica. Happy shopping! To RSVP for the Darien opening, please email RSVP@jmclaughlin.com.